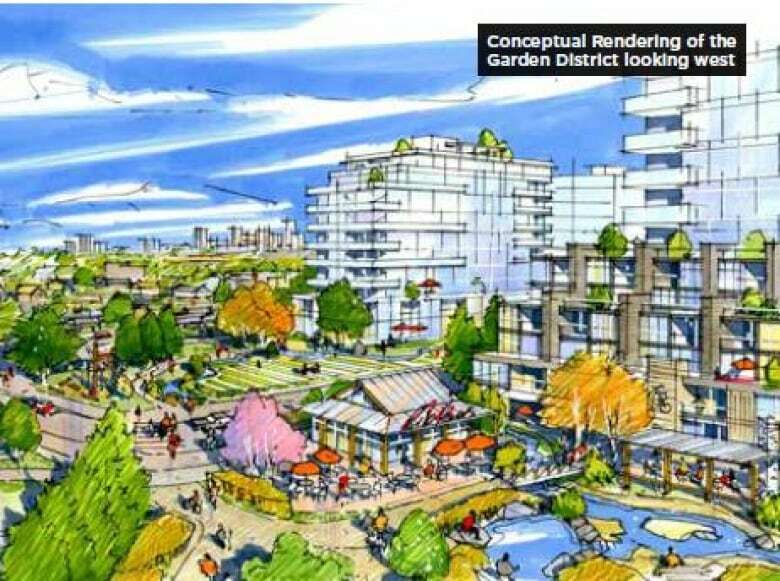 Bonnie Doon will look quite different in the coming years now that Edmonton city council has agreed the area can be rezoned to pave the way for a mixed-use residential and retail project. 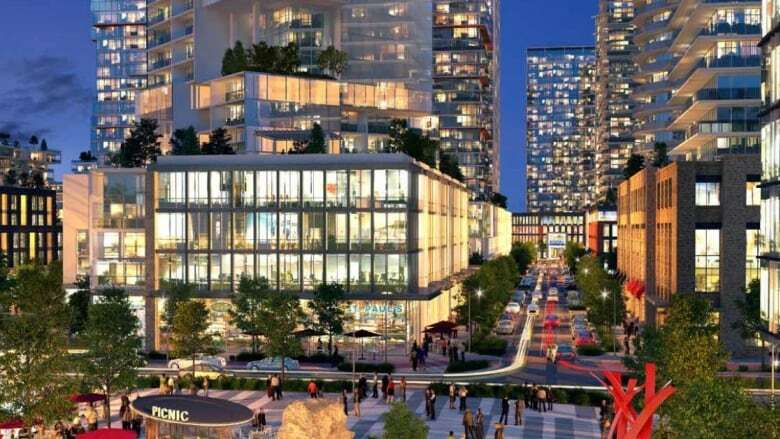 Edmonton city council has paved the way for a major mixed-use residential and retail project in Edmonton's Bonnie Doon neighbourhood. Morguard Investment Ltd. plans to develop a neighbourhood on the site of the current Bonnie Doon Shopping Centre between 84th Avenue and 87th Avenue at 85th Street. Council voted to approve the rezoning of the site during a public hearing Monday. Margaret Knowles, senior vice president of development with Morguard, says the project would change the face of the neighbourhood, with amenities designed for health and wellness and active lifestyles. The development, known as Bonnie Doon Town Centre, will be located on 30 acres spanning Bonnie Doon, Strathearn and Holyrood neighbourhoods. The project will accommodate various modes of transportation, instead of focusing on vehicular traffic as the current mall does now. "We think sustainability is one of the platforms of our reimagining of Bonnie Doon," Knowles said. "Obviously having transit right at our door is a big check mark on the sustainability scorecard." The Valley Line southeast LRT will sweep through Bonnie Doon on its way to 102nd Avenue downtown. More than 4,000 energy efficient residences are planned for the project along with commercial and retail space, a garden district and tree-lined boulevards. The project includes several towers ranging in height from 12 to 38 storeys. The site is in Coun. Ben Henderson's ward. He acknowledged the height of the towers is a concern for some. "I do recognize that there's going to be some shadow impacts," he said. "I think there are huge benefits that will come from the reimagination of this site." Henderson noted that when Morguard started consulting the public more than a year ago, it showed up to public engagement sessions with a clean slate and listened to residents' concerns and ideas. "In other circumstances, we would have had hundreds of people in here," he said during the public hearing. "I think we got there because we had a developer who was willing to go in with their ideas on a napkin." Dave Sutherland, civics director with the Holyrood community league, spoke to council at the public hearing, largely in support of the project. He agreed Morguard did a good job of consulting the public. "They obviously heard loud and clear — grocery store top priority, bowling alley second priority, lots of parks and green space, lots of opportunities to gather and shop." Knowles assured the bowling alley would be part of the new mall they plan to build at the south end of the development. Sutherland asked that the company provide at least 200 family units, up from the proposed 150. Before approving the rezoning, council also insisted family units make up five per cent of the total residences. Mayor Don Iveson called the mall a gathering place and a destination and took the opportunity to laud the city's goals of building LRT to bring rapid transit to the "door" of the neighbourhood. "Each step in the phased process towards redevelopment will ultimately enhance the community and enhance the city." The project is in five to six phases and is expected to take 20 to 30 years to complete. "The market has to absorb the product that we're going to build, so you can't build it all overnight and have it sitting empty," Knowles said. Knowles said the north, east and west parts can be developed soon, while the south portion where the Safeway grocery store currently sits will have to wait until the lease expires. She said pending approval for a development permit, the company may start building the first two towers on the east side of the mall as early as next spring.